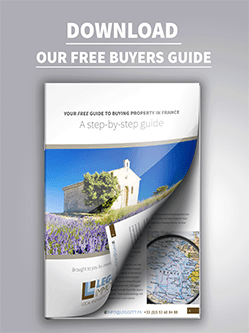 Here at Leggett Immobilier, we have helped thousands of overseas clients to purchase property in France over the past two decades and know that the different buying process, language and laws can be confusing. Opening a bank account in France is an important part of settling into the country. It is a good idea, but not essential (unless you are financing your purchase with a mortgage), to have a bank account organised prior to signing the final Acte de Vente on the purchase of your property. 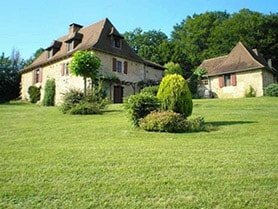 If you open a bank account with a French bank, they can almost always help out with your home insurance, which should be organised before final signing. This is an appealing option, in as much as it is possible to organise, and set up most easily from the UK. You will be required to provide documentation in order to set up an account like this, but the forms you need to fill out will be mainly in English. It is particularly easy if you are already a customer of a bank who have branches in France. Pros: It is simple to set up an account from the UK and all communication will be in English. Cons: Most branches of British banks in France tend to be in larger cities and so your 'local' branch could be too far to 'pop' into. It can be a good idea to speak to your Leggett Immobilier agent to discover which banks are local to the property that you are purchasing and open an account with them. Face-to-face interaction is valued at French high street banks and many have English speaking staff. You will need to provide documentation to open an account as you would with any other bank so it is good to check what will be required before making a trip out to France. Pros: Possible to have a bank local to your property. An increasing number of French high street banks have English speaking staff. Cons: It is more difficult (and sometimes not possible) to set up an account from the UK. Britline is a popular choice as it can also be set up (via post) from the UK. It has an English speaking helpline and most forms are in English. Again, you will be required to provide documentation and must either already own a French property, or be in the process of buying one to open an account. Pros: Possible to set up from the UK, English speaking staff and documentation in English. Cons: A lot of documentation to be provided and procedures can be lengthy. Pros: Largest branch network in France and cheaper rates than high street banks. Cons: Not possible to set up an account from the UK and there are less English speaking staff. Not possible to draw out large sums of cash without prior notice. French bank accounts come with a debit card, known as a Carte Bleue, which are widely used across France. Cheques and cheque books are also still used regularly in France for all types of transaction - from paying for groceries in the supermarket, paying for wood for the heating to paying household bills. RIB (relevé d’Identité bancaire) documents are used for most types of bank transfer. These small slips are provided by the bank, available online or in the back of cheque books. 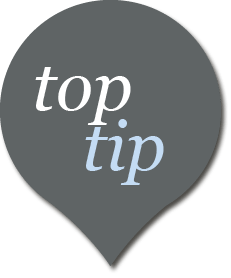 The RIB contains all information required to set up a TIP (titre interbancaire de paiement – an ongoing payment like a standing order) – or to transfer funds into your account. Leggett Immobilier can assist you with organising your bank account. Simply speak to your Leggett Immobilier agent and they will be happy to give you some relevant, local bank contact details. Wait until you have had an offer accepted on the house you want to purchase and then research your most local bank. Don't set up an account before it is necessary as changing your local branch can involve a lot of paperwork!